This Colonial Revival style building has two stories, an asphalt shingle roof, and has been significantly altered. This structure has 3-bays, a center entrance, a wood frame, and a hipped roof. There is a shallow entrance pavilion with a pediment, a fanlight attic window, modillions & dentils. There is a 3-part window with 2-o-1 windows flanking larger 6-o-1 on the 2nd floor of the pavilion. There are pedimented dormers–2 front, 2 right side, and 1 left side. There are 2 large brick interior chimneys and a full front porch which has a projecting center section aligned with the pediment above. There is a set of 3 Doric columns at the corners of the porch’s center section and a millwork railing. The recessed front entrance has door surround with sidelights; the front door is intact. The windows are 6-o-1 with molded window headers. There is a 1-story faceted bay window on the left side, and a 2-story rear ell with a hipped roof, and a rear porch with a hipped roof and a hooded entry on the left side. There is a semi-circle driveway in front yard centered on entrance. This is one of two cottages built by the Bishop family (the other is 35 Walker Street). 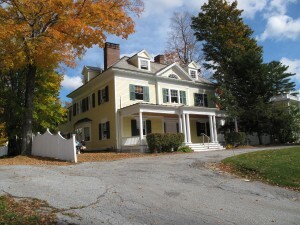 Both were built as guest cottages by the Bishops, who owned several large estates in Lenox. This house was built by Florence V.C. Bishop (who later became Mrs. White through her second marriage) and was given to David Wolf Bishop, who never lived in the cottage. 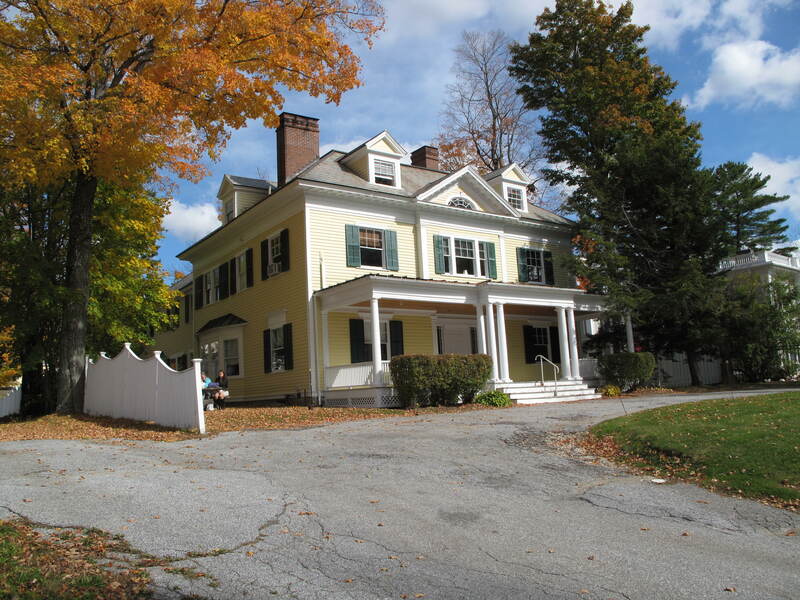 In 1921, it was purchased by Charles Lewis Slatterly, the Bishop of Western Massachusetts, who in turn sold cottage #2 to James and Maude Reger. In 1927 the house was acquired by Alice Regnier. In 1957 the cottage was inherited by Clement J. and Hilaire Regnier. On February 25, 1994 it was acquired by Charles T. Schulze.